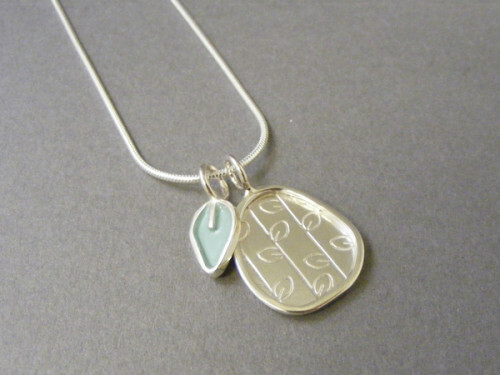 Pendant with solid leaf charm. Also available in grey or yellow. Shown on 16'' snake chain.